Konnov & Sozanovsky is a full-service law firm oriented towards providing comprehensive legal advice to Ukrainian and international clients. 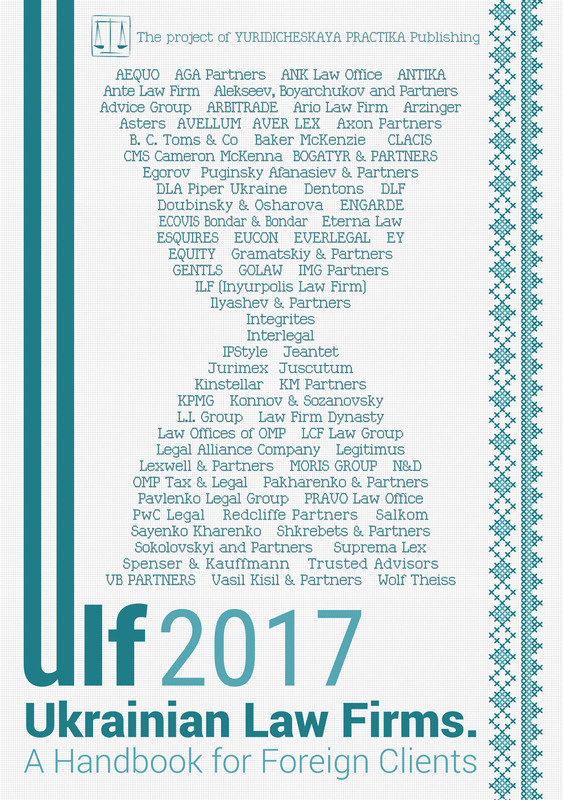 Since 1992 it has proved to be rightfully recognized as one of the leading law firms in Ukraine. Konnov & Sozanovsky advises clients in the most popular business areas of law: agrarian law, banking and finance law, copyright and media law, commercial law and contracts, competition law, corporate law, intellectual property law, labor law, real estate, construction and land law, tax law, and has represented clients in large-scale mergers and acquisitions and litigation cases. The firm practices an individual approach in each case, taking into consideration the peculiarities of a client’s business and its preferences. The firm’s rich experience covers legal advice on matters in such industries as advertising and design, agriculture, banking, energy and power, food industry, insurance, investment and the equity market, light industry, media and telecommunications, pharmaceuticals, publishing, real estate and construction, software, spirits industry, tobacco industry, trade and distribution, veterinary production. Konnov & Sozanovsky is highly involved in the activities of the business community and is a full member of the American Chamber of Commerce in Ukraine (ACC), Ukrainian Bar Association (UBA), European Business Association (EBA, Ukraine), Association of European Businesses (AEB, Russia), International Trademark Association (INTA). Konnov & Sozanovsky is an exclusive member of First Law International (FLI) — the specialized international legal network, which has been operating on the legal market since 2003 and has already succeeded in integrating the most competitive law firms from more than 40 countries from all over the world. This enables FLI members to provide high quality legal assistance to clients in all major legal systems, thereby saving clients considerable time and resources, while maintaining service quality and confidentiality of information transferred. Therefore, the client receives not only service but also a reliable business partner and legal advisor across three continents. The firm conformity to international service quality standards is annually recognized by such legal research directories as Chambers and Partners, Legal 500, PLC Which Lawyer, IFLR 1000 and Who Is Who Legal. High appraisals are built on our clients’ recommendations, favorable competitors’ reviews as well as the opinions of leaders of key industries. In unison with international recognition, Konnov and Sozanovsky is a multiple nominee and holder of the national award-winning Law Award of the Year and for many years has been in the TOP-10 leading law firms in Ukraine according to Yuridicheskaya Practika Publishing. According to Ukrainian Law Firms a Handbook for Foreign Clients, both partners and lawyers are acknowledged as leaders in various branches of law. On the way towards integration with the European Union with the aim of accession to the Single European Information Space, we have accepted obligations as for the harmonization of the national legislations with European standards, especially legislation in the field of intellectual property. Of the various types of intellectual property rights, copyrights are the most easily obtained, but arguably the most misunderstood. The main directions of improvement of national legislation as for the exceptions and restrictions in the field of copyright and related rights were aimed at further harmonization of national legislations with EU standards, namely: Ukraine — European Union Association Agreement (hereinafter — the Association Agreement), the Directive of European Parliament and Council On Legal Protection of the Computer Programs of 23 April 2009. There are many legal disputes in the field of copyrights to works made for hire. The legal regulation of copyrights to works made for hire is a really problematic issue in Ukraine due to the existing conflict of law between the Civil Code of Ukraine and the special law — the Law of Ukraine On Copyright and Related Rights (hereinafter — the Copyright Law). Namely, Article 429 of the Civil Code of Ukraine provides that an employee, an author of the intellectual property object created in the course of his/her employment, holds personal non-proprietary rights to this object. The Code also states that a special law may provide cases when some personal non-proprietary rights to such an object may belong to an employer. According to the Civil Code proprietary rights to an object created under an employment agreement is vested jointly with the author (the employee) and the employer — a legal entity or individual, unless otherwise stipulated by an employment agreement. The respective provisions applied to any intellectual property object created under an employment relationship, such as: copyright object, trademark, industrial design, invention, utility model. In opposition to the Civil Code the Copyright Law provides that the exclusive proprietary rights to the copyright objects made for hire belong to the employer, unless otherwise provided for by the labor contract and (or) civil contract, concluded between the author and the employer. We have reviewed the respective judicial practice in this field. The Plenum of Supreme Court of Ukraine in its Resolution On the Application of Legal Provisions in Copyright and Related Rights Protection Cases (the Resolution of Supreme Court) No. 5 of 4 June 2010, concluded as follows: “if a work is created under an employment agreement and within its term of validity, i.e. within employment and under an instruction of the employer personal non-proprietary rights belong to the employee. The proprietary rights to an object of copyright and (or) related rights created under the employment agreement belong to the employee who created the object and legal entity or individual-employer jointly, if otherwise provided by the agreement”. According to the Resolution if an employment or civil agreement between employer and employee doesn’t provide for another procedure to perform proprietary rights to the created object, they both have the joint right to receive a certificate of copyright registration and use the intellectual property object. In case of assignment of all exclusive rights by the employee to the created object he loses his exclusive proprietary rights. However, personal non-proprietary rights are inalienable. Thus, the above Resolution confirms the provisions of the Code as being of higher priority, regardless of the provisions of the special law — the Copyright Law. The other problem issue is the legal recompense of the author’s remuneration for the creation of the copyright object under an employment agreement. The arguable point is the employer will pay additional remuneration to the author of the copyright object, or will the salary be treated as sufficient payment for his/her work? The Copyright Law and the Civil Code stipulated that the amount of the author’s remuneration for the creation and use of the course-of-duty work, as well as the relevant payment procedure shall be settled in the respective employment agreement and/or civil-law contract. In this regard the Resolution of Supreme Court stated that the payment of the salary to the employee is not similar to payment of author’s remuneration to him/her for creation of the copyright object under the employment agreement, because the salary is the payment for the work performed depending on certain conditions, whereas an author’s remuneration are all kinds of remunerations and compensations which are paid to the authors for usage of their creations, which are protected within the limits prescribed by copyright law. If there is no agreement among the parties regarding the amount of the author’s remuneration the courts, when calculating such remuneration, shall be governed by the provisions of the Resolution of Cabinet of Ministers of Ukraine No.72 On Approval of the Minimum Rates of Remuneration (royalty) for Use of Copyright and Related Rights Objects of 18 January 2003. The aim of the Draft Law is to harmonize Ukrainian copyright legislation with the Association Agreement, namely with regard to the authors rights to databases and computer programs. Article 181 of the Association Agreement provides that if a computer program is created by an employee in connection with the execution of his/her official duties all proprietary rights to such a program belong to the employer, unless otherwise provided by the employment contract. However, the Draft Law has not yet been considered by the Verkhovna Rada. Let’s briefly review foreign practices in the area of legal regulation of the copyright to works made for hire or created under an employment relationship. — it is specially ordered or commissioned from an independent contractor pursuant to a written agreement. — whether the work is performed, at least in part, to serve the employer. If a company is uncertain whether an individual is an employee or whether the creation of the work falls within the scope of such individual’s employment, it should obtain a written agreement from the individual expressly assigning the copyright in the applicable works to the company. German law parallels French law in that the initial owner of copyright in a work is always the individual person who created the work. Furthermore, in accordance with the Berne Convention, German law establishes a presumption of authorship based on a customary indication of such on the work. In the United Kingdom the law varies based on the type of work at issue. The Copyright, Designs, and Patents Act of the UK governing the primary grouping, literary, dramatic, musical, and artistic works stipulated that when a work is made in the course of employment, copyright will belong to the employer, otherwise it will belong to the author. We can conclude that despite the fact that most of the countries mentioned above lack a definitive copyright classification of “works made for hire”, the general approach to such works is rather similar. Most countries acknowledge, at least on a limited basis, copyright to an employer when the employee creates the work within the scope of his employment. Ukrainian legislation in the field of copyright to works made for hire shall be harmonized with judicial practices and European standards. The employee and employer should also take into consideration all the possible risks and specify in an employment agreement or civil law contract the provisions with regard to proprietary rights to the respective intellectual property object and draw attention to the provisions, specifying the royalty payment to the author of the copyright object.